Now the delivery set of the PC-3000 Flash has been changed. 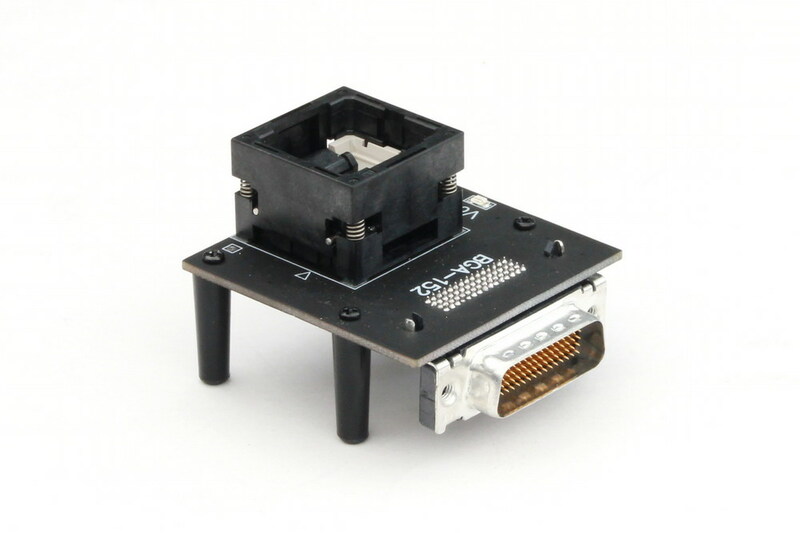 The new adapters – BGA-152 and Circuit Board have been added in addition to the already existing LGA/TLGA-52 adapter. BGA-152 adapter is used for connecting microchips in BGA-152/132 cases. Circuit Board adapter is intended for unsoldering the rare microchips and monoliths. The total cost of the PC-3000 Flash remains at the same level despite of adding the new adapters. Other new powerful adapters are in development now and the news about them will be announced additionally. Due to the steady development of the technologies and the technological processes, NAND memory chips are implemented in the new form factors and cases that meet the requirements of density and easy installation to the end devices. To work with the latest memory chips the PC-3000 Flash has the new adapters capable to deal with the modern cases. Adapters are based on the specialized ZIF panels, providing a convenient and secure method of installing memory chips. 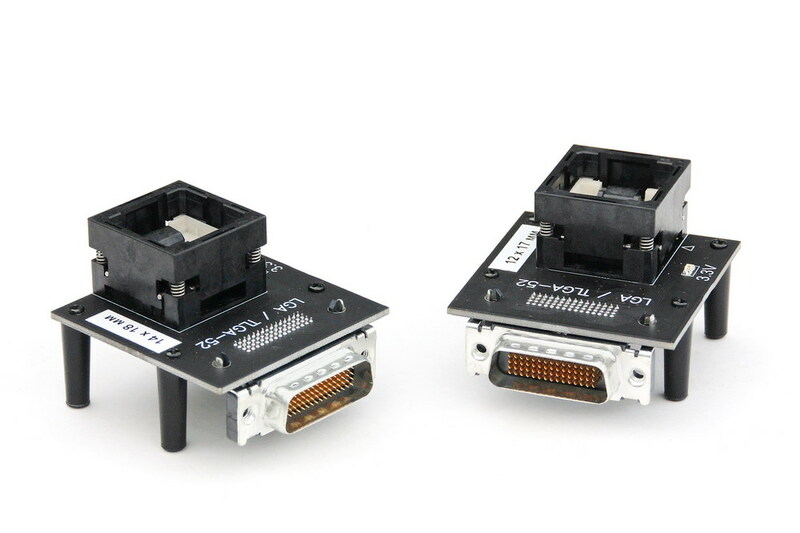 Adapters are fully compatible with the PC-Flash Reader version 3.0 and support the chips in LGA/TLGA-52 case. The difference is the width of the memory chip packages - 14x18 mm and 12x17 mm. It is possible to center manually a narrow chip (12x17 mm) inside the socket of LGA/TLGA-52 (14x18) adapter. The adapter has a power supply LED- indicating the voltage supplied to the memory chip. Now there is a high percentage of monoliths (Embedded Solution, SoC) where one physical package has memory chips, integrated controller to perform all the basic functions and all the passive elements. Thus, the only one external connector for such storage device is the interface connector intended for such drives (SD, MS, Micro SD etc.). When such drive is broken and it is impossible to work through the standard interface, you can get an access to the internal memory chips using the individual technological pin outs (if any), located on the monolith circuit board or soldering straight to the topology tracks of the circuit board when you have the information about pinmaps. To perform such tasks, a specialized PC-3000 Flash Circuit Board adapter has been developed, which is intended not only for the comfortable installation works and connection to the PC-3000 Flash, but also for the analytical work to define the output destination of the new unstudied chips. Specialized resource is available for the PC-3000 Flash users - Monoliths library (www.pc3000flash.com/solbase/monochips.php), which contains a fresh updated database with the known output destination of the monoliths.